Character Bio - Rey was a human female scavenger and Force prodigy who discovered her latent Force-sensitivity while on a journey to find the legendary Jedi Master Luke Skywalker and bring a new hope to a galaxy on the brink of war. Rey grew up alone in the wastes of the desert planet Jakku, hoping for the day her family would return to her while honing her skills as a scavenger and a warrior. Her life changed forever when she encountered BB-8, a Resistance astromech droid who carried information about Skywalker's whereabouts, and a stormtrooper named Finn who defected from the First Order. They were hunted by the First Order, forcing them to escape from Jakku aboard the Millennium Falcon, eventually finding help from Han Solo and Chewbacca during their journey to the Resistance base on D'Qar. On Takodana, Rey discovered the lightsaber that once belonged to Luke and Anakin Skywalker but rejected the idea that the lightsaber was a sign of her destiny. Rey was soon taken captive by the dark Force user Kylo Ren, who wanted information about Skywalker's whereabouts. During the attack on the First Order superweapon Starkiller Base, Rey witnessed Solo's death at Ren's hands and engaged the dark warrior in lightsaber combat. Rey, an injured Finn, and Chewbacca escaped to D'Qar and learned of Skywalker's whereabouts. Rey ventured to the lost world of Ahch-To, found Skywalker, and presented him with his father's lightsaber as a sign of the only hope the galaxy had left: the return of the Jedi. Rey was born in 15 ABY, eleven years after the Battle of Endor. At a young age her family left her on Jakku, a desert planet in the Western Reaches, for reasons unknown to her. She believed it was a mistake and that they would one day return to bring her home. Throughout her life on Jakku, she would sometimes see off-worlders in Niima Outpost, the chief trade outpost on the planet, who she thought might have arrived on Jakku accidentally, unaware of the harsh realities of the desert world. Rey wondered if she was left behind under similar circumstances, if her family had come to Jakku by accident and she was left behind as a result of their misfortune. Whatever the reasons were, she held out hope that her family would return for her one day, though she began to realize that they would never come back. She proved unwilling to admit this to herself for a long time. In order to survive on Jakku, Rey became a scavenger in the employ of Unkar Plutt, trawling through the junk fields of the Starship Graveyard which was littered with the remains of starships and other military technology from the Battle of Jakku. At first, she worked for other scavengers, bringing them the loot she found in crashed New Republic and Galactic Empire vessels that were downed during the battle. She heard local stories about what happened during the battle: that it was the last stand of the once-powerful Empire during the Galactic Civil War, that the Empire locked onto Republic ships during the fighting and dragged them down to the surface together, and more. 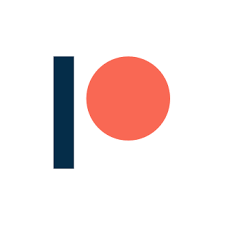 The battle had left the ships trapped in the sand in varying conditions, and finding working parts became essential in order to earn food portions, the only thing that was up for trade in Niima Outpost. The trades were made by Plutt, who traded leftover Republic and Imperial rations in exchange for whatever Rey and other scavengers were able to recover. Rey learned that parts that could be repurposed were the most important; anything that could not be put into another ship was worthless to Plutt. Some of the scavengers that Rey worked for were kind to her, such as Ivano Troade and Mashra. Others, whose names she refused to speak, were not kind, and even viewed her as their property. As Rey's skills as a scavenger grew, she came to realize that while other scavengers needed her, she did not need them. She struck out on her own, utilizing the skills she had to scavenge and survive, but no one took her seriously at first. She was aided by Plutt himself, who told other scavengers to leave Rey alone and would send his thugs after those who did not. Rey did not want his help, and the help was not out of generosity. Rather, Rey was the best scavenger Plutt had and he wanted to continue utilizing her as a source of acquisitions. 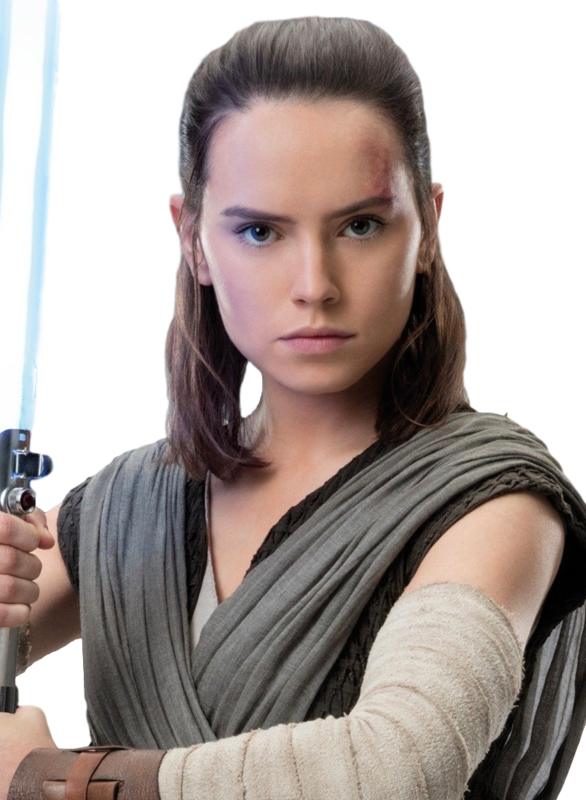 Rey gained a reputation in Niima Outpost for using her quarterstaff to defend herself, which also kept most people from bothering her�save for the occasional new scavenger who did not know about her, or were so desperate for supplies that they did not care. At some point in her youth, Rey made her home in a downed Imperial All Terrain Armored Transport, Hellhound Two, left over from the Battle of Jakku. When she first found it, Rey did not believe that she could live there, as the Goazon Badlands where the AT-AT was located was a barren wasteland in which nothing seemed to grow. When she inspected the walker, though, she found a small green spinebarrel flower growing out of a few millimeters of sand that had poured into the walker. Rey realized that if such a tiny flower could survive there, so could she, and that life always found a way to survive on Jakku. Rey would go on to collect flowers like that, as a reminder that beauty could be found anywhere, even on Jakku. Once she settled into the walker, Rey salvaged working parts of the AT-AT for trade. She mostly just used one room in the walker, for a variety of reasons. She would often bring her salvages to the walker before bringing them to Plutt, as Plutt deducted portions one could receive from a salvage if they used his washing and repair stations. The walker also contained scratches she made to mark the passage of time, to remind her how far she had come and to count down the days until her family returned for her. Outside of the walker was where she would go on to keep the speeder she built for herself, which gave her a degree of independence as she made her way back and forth from the Starship Graveyard. By the time Rey was ten years old, she had acquired a Rebel Alliance flight helmet that once belonged to Captain Dosmit R�h of the starfighter squadron Tierfon Yellow Aces, which she found while scavenging in the Starship Graveyard. She enjoyed making up stories about R�h's adventures during the war, which was why Rey made a doll out of a flight uniform she found in a cargo container. She often enjoyed wearing the helmet and playing with the doll, pretending she was helping R�h explore the AT-AT and the sands outside. Together, their pretend adventures saw them find lost Rebels and return them to their ships. When Rey was older, she no longer played with the doll but kept it and the helmet, which she sometimes wore anyway, to remind her how far she had come on Jakku. Inside the walker, Rey also had a computer display from an old BTL-A4 Y-wing assault starfighter/bomber that she used to learn alien languages, study the schematics of Republic and Imperial starships, and run flight simulations in order to hone her skills as a pilot. Her ability to understand alien languages, including the binary language of droids, helped her when off-worlders came to Niima Outpost. Two such off-worlders were Wookiees, who regaled her with the stories of the famed Wookiee smuggler-turned-Rebel fighter Chewbacca. She learned of Chewbacca's exploits, as well as those of his friend and fellow smuggler Han Solo. Studying schematics to learn how ships worked was also an important part of her survival on Jakku. She recognized almost all of the Republic and Imperial vessels that could be found in the Graveyard, including what roles they played in combat, the types of weapons they were armed with, their models and classes, and how many crew members each one had. She learned this not just through studying schematics on her computer, but also by climbing through and exploring the ships and tinkering with their systems. This let her know what each part was, what it could do, whether it worked, and, most importantly, whether it would carry any value in Niima Outpost. Growing up on Jakku meant Rey not only learned how the ships that littered its wastelands worked, but also about the dangers that lurked on Jakku itself. Rey saw firsthand the hardship it could inflict. Rumors of an Imperial base on Carbon Ridge once compelled Plutt to mount an expedition there. Knowing her skills as a mechanic, Plutt brought Rey a flyer to fix. She did so by unclogging one of its turbojets and rebuilding the other out of scrap from the front of an airspeeder. Plutt and six of his thugs used it to try to find the rumored base, but he only returned with a collection of stormtrooper armor�and two of his men were killed. That led other scavengers to avoid Carbon Ridge. The creatures of Jakku were also dangerous. A fellow scavenger named Teng Malar once accidentally broke open a hatch on a ship beneath a colony of steelpeckers, ferocious avian creatures with razor-sharp beaks and strong talons. Within ten minutes, Teng was ripped to shreds and Rey watched helplessly as she was unable to do anything to stop the creatures. The Graveyard itself was also a reminder of the realities of war, with bodies and skeletons littering the sands. Rey once discovered a deceased TIE fighter pilot still in the cockpit of his TIE fighter ejector seat. Rey scavenged his helmet, sidearm, and comlink before giving the pilot a proper burial. At some point, Rey was salvaging a battle cruiser when a sandstorm forced her to retreat to the Hellhound Two, where she decided to wait out the storm by practicing on her flight simulator. The next day, after trading with Plutt for rations at the Concession Stand, she took her speeder out to the Starship Graveyard, where she decided to climb the Spike, the keel of an Imperial ship that had crashed into what would become the Crackle. From her perch, she spotted a ship that, upon closer inspection, she realized to be a reasonably intact Ghtroc 690 light freighter. Deciding to look inside the ship for salvage, she discovered food, and more importantly, that the reactor core was still functioning. Realizing that the whole repaired ship was worth more to Plutt than its salvageable parts, she decided to work on it so she could sell it, discovering panels inside that she could use to hide her ship from other scavengers. As it had become dark outside, Rey opted to spend the night in the ship. Repairing the ship proved difficult, as it meant using parts she could have traded for food to repair the ship instead, making her go hungry more often than usual. Her decision to not give some parts to Plutt eventually attracted the attention of the scavengers Devi and Strunk, who asked her about it. She refused to tell them anything, and they told her that they might not have been the only ones to notice Rey's unusual behavior. Ten days later, the duo trailed Rey and discovered what she was working on, and offered to help her repair it in exchange for passage off of Jakku with her once it was finished. After Rey explained that she was going to sell the freighter to Plutt once it was complete, Devi and Strunk brokered a deal with her: they would help her repair the ship, and they would split whatever Plutt gave them. While Rey was wary of the others at first, she came to think of them as friends as they proved their trustworthiness by keeping watch over the ship at night, and helping to protect it from a group of Teedos. Together the three scavengers restored the ship to working order, and Rey was able to pilot the craft over the desert with the skills she had learned from her flight simulator program. Once the ship was complete, Rey flew it to Niima Outpost with the others. However, as soon as she stepped out of it to barter with Plutt, Devi and Strunk stole the ship and fled the planet, leaving Rey with nothing to show for her work. One of the vessels that Rey scavenged from was the Inflictor, an Imperial-class Star Destroyer that crashed after its commanding officer, Captain Ciena Ree, scuttled the ship to prevent it from falling into the hands of the New Republic. Rey climbed throughout the massive vessel and brought parts back to Niima Outpost, where she cleaned them up and brought them to Plutt. The materials she brought him on this particular day earned her one quarter portion of food, which she brought back to her home. After eating, she heard the noises of an astromech droid and rushed to find that the source of the noise, BB-8, had been captured by a Teedo scavenger, also named Teedo. Rey rescued the tiny droid and learned that it was on a classified mission�it managed to escape the clutches of the First Order during an attack on the spiritual village of Tuanul, an attack that Rey had heard rumors of. Rey repaired BB-8's antenna, and pointed the droids towards Niima Outpost. After some convincing by BB-8, Rey allowed the droid to return home with her for one night, before it went on its way the next morning. On their way to Rey's home that evening, Rey and BB-8 were attacked by a nightwatcher worm, which was hungry and wanted to eat BB-8. Rey saved BB-8 from the worm, made it safely to Rey's, and fed the worm a hunk of scrap. The next morning, Rey and BB-8 set up for Niima Outpost. On their way, they were attacked by three bandits who were attempted to steal BB-8. Rey was able to force two of the bandits to crash into each other on their speeder bikes, and tricked Teedo into having his bike eaten by a nightwatcher worm. Rey and BB-8 continued to Niima Outpost, where she handed more salvage material over to Plutt. He offered her one half portion for everything, a collection that Rey reminded him was worth one half portion for each item only a week before. Though Plutt was unmoved, he did offer to give her sixty portions for BB-8. Rey was almost quick to take the offer, but she soon told Plutt that BB-8 was not for sale. Undeterred, Plutt sent his thugs after Rey to try to take the droid by force�this proved to be useless, however, as Rey made short work of her would be attackers. During the fight, BB-8 caught a glimpse of Finn, a stormtrooper who defected from the First Order, wearing the jacket that belonged to BB-8's master, Poe Dameron. BB-8 alerted Rey and a brief chase ensued. Rey managed to catch the young man, and accused him of thievery. Finn explained that the jacket belonged to Poe Dameron and that he was the one who helped the Resistance fighter escape from the Finalizer, an escape that cost Poe his life. He also explained that he too was a Resistance fighter, sent to help Poe retrieve a map that would lead to Luke Skywalker, a legendary Jedi Knight who Rey assumed was only a myth. Rey accepted Finn's story that he was actually a member of the Resistance, while BB-8 lamented Finn's news of Dameron. The trio was spotted by a small group of stormtroopers who were sent to to recover the droid from Jakku. Rey and Finn attempted to flee their attackers after being fired upon by TIE fighters. Rey led Finn and BB-8 towards a shipyard attempting to commandeer a quadjumper moments before it was destroyed. With no other option, Rey led the two towards a broken down ship she described as garbage that had not flown for years, the Millennium Falcon. Rey took the pilot's seat while Finn manned the gun turrets. Despite a shaky start, Rey piloted the ship out of the outpost and, on Finn's suggestion, remained at a low altitude in order to confuse the scanners on the TIE fighters. She led the fighters on a chase into the Starship Graveyard, where she was able to use the downed war vessels to her advantage. One TIE fighter crashed after Finn scored a direct hit, while the other followed Rey into the bowels of a Super Star Destroyer. The Falcon suffered damage and the turret was locked into one position, so, after flying out of the Super Star Destroyer, Rey moved the freighter into position where Finn could fire a direct shot. With the last TIE fighter destroyed, Rey flew the ship off of Jakku and into open space. With the ship in the clear, Rey and Finn left their posts and congratulated one another on their hard-fought escape. They finally introduced themselves to one another, having not learned each other's name in the commotion of escaping the desert world, but their joy soon turned to more urgent matters as the propulsion system began to leak when an energy flux in the hyperdrive motivator caused a fuel backup. Rey started working to fix the problem, which risked flooding the ship with poisonous gas and killing them. While working on the propulsion system, Rey asked Finn for the location of the Resistance base. Unknown to her was that he and BB-8, as she worked, argued about revealing the location; Finn did not actually know its location and had to convince BB-8 to share it with Rey. BB-8 ultimately revealed that the base was in the Ileenium system, so Rey told them she would drop them off before returning to Jakku. Suddenly, the ship began to lose power and the two realized that they were caught in a tractor beam. The Falcon was pulled into the cargo bay of a large freighter called the Eravana, which Finn mistook as a First Order ship. The trio hid in a compartment beneath the floor and Rey planned to release the poisonous gas into the ship to kill what she assumed would be stormtroopers, but in reality it was two smugglers: the famed Han Solo and his first mate, Chewbacca. Solo found the three fugitives in the compartment and Rey revealed they were the only ones aboard, and that she was the pilot. Solo asked where they got the ship, and Rey told him that it belonged to Unkar Plutt, who stole it from the Irving Boys, who stole it from Gannis Ducain�who, as Solo revealed, stole it from him. It was then that he revealed himself as Han Solo. Rey and Finn realized that meant the ship was the Millennium Falcon and that Solo was the famous smuggler who fought with the Rebel Alliance during the Galactic Civil War. Solo inspected the ship and talked to Rey about the modifications that Plutt had made on it, including a compressor on the ignition line, which they both knew put too much stress on the hyperdrive. Rey also told him about their mission to bring BB-8 to the Resistance, a mission that caught Solo's attention once he realized that the droid carried a map to his old friend Luke Skywalker. 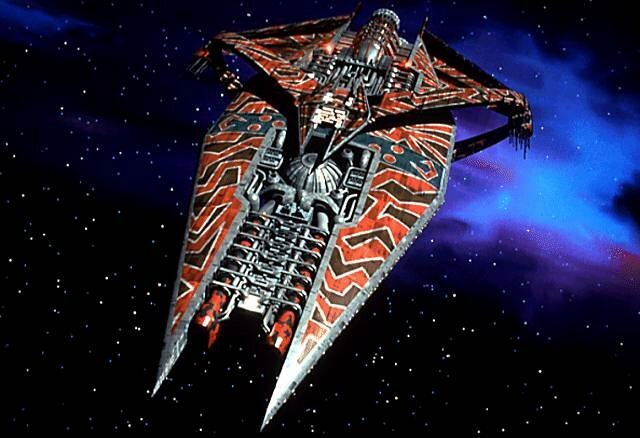 The Eravana was soon boarded by the Guavian Death Gang and Kanjiklub, two criminal organizations that Solo had swindled into loaning him money so he could smuggle rathtars to King Prana. Rey and Finn hid in the corridors beneath the floors as Solo unsuccessfully tried to talk his way out of the situation, and his predicament gave Rey the idea to shut all of the doors between the Corellian smuggler and the two gangs. She accessed the wrong door controls, however, and accidentally unleashed the monstrous rathtars, which ran loose across the ship. As Rey and Finn ran from the beasts, one of them grabbed Finn and carried him away. Rey found a control panel that allowed her to close a door onto the tentacles of the monster, severing the limbs and allowing Finn to escape. They reunited with Solo at the Millennium Falcon and escaped onto the ship. With Chewbacca injured in the fight against the gangs, Rey took the co-pilot's chair as Solo prepared the ship for launch. Though Rey questioned him on his ensuing plan, Solo jumped the ship into hyperspace from inside the Eravana, and they successfully escaped. Bala-Tik of the Guavian Death Gang, who had seen BB-8 and realized Rey and Finn were aboard, then had his men contact the First Order to let them know that the fugitives were aboard the Millennium Falcon. Rey and Solo contended with even more damage to the ship once they were in hyperspace. There was an electrical overload and a coolant leak, so Rey suggested transferring auxiliary power to the secondary tank, which Solo had also come to the conclusion to do. Finally, Rey bypassed the compressor that Plutt had installed, solving the problem and ending their imminent danger. The group gathered in the ship's common area and BB-8 showed Solo the holographic map fragment that was in the droid's databanks. Solo, who pointed out that the map was not complete, explained the story of why Skywalker had disappeared in the first place. An apprentice�Kylo Ren�turned against the Jedi Master and destroyed Skywalker's attempt to rebuild the Jedi Order. Afterward, Skywalker vanished. Rumors floated around about where he had gone, but those closest to him correctly guessed that he went off in search of the first Jedi temple. Rey was surprised to hear that the Jedi were real, but Solo, who had once been skeptical of the existence of the Jedi himself, told her that the stories about the Jedi and the existence of the Force were all true. Solo, the estranged husband of Resistance General Leia Organa, did not plan to bring BB-8 to the Resistance base himself, so he set course for the planet Takodana, where he intended to enlist the help of Maz Kanata, a pirate and collector who operated a pirate castle on the planet. As the ship approached the castle, Rey was taken aback by the lush green world that reminded her of the planets she saw in her dreams as a child, having never known that there was so much green in the entire galaxy. When they landed, the group exited the ship, where Rey looked out at the stunning vista that stood before her. Solo handed her a blaster, knowing she would be able to defend herself with it, and asked her what her name was. With the two formally introduced, Solo said he was considering bringing on a new crew member. Impressed with Rey's piloting and repair abilities, he said he would consider offering her a job as second mate aboard the Falcon. Rey was flattered by the offer, and briefly excited by the prospect, but she turned it down because she had to return to Jakku to wait for her family. Solo led Rey, Finn, and BB-8 to the castle while Chewbacca stayed behind to watch over the ship. Solo explained that Kanata had run the castle for a thousand years and that she would be able to get BB-8 to the Resistance. Once inside, their arrival prompted the attention of informants for both the First Order and the Resistance, alerting the respective groups that the fugitives were on Takodana. Rey and the others met with the diminutive pirate and told her about the map to Luke Skywalker. Kanata said she would not bring the droid to the Resistance because she believed Solo should, as he had been running from the fight for too long. Rey asked what fight she was referring to, and Kanata told her it was the fight against the dark side of the Force, one that had given rise to the Sith, the Galactic Empire, and ultimately the First Order. To Rey's surprise, Finn told Kanata that they could not win the fight against the First Order. Kanata sensed his fear, and Finn finally said that he could not bring the droid to the Resistance. He left to speak to two pirates, Sidon Ithano and Quiggold, about exchanging work for passage to the Outer Rim Territories and, when Rey confronted him, he admitted that he was a stormtrooper and not a member of the Resistance. She pleaded with him not to go, but he chose to leave the castle and head to the Outer Rim. As Finn departed, Rey felt something drawing her towards the lower levels of the castle. She made her way down the steps with BB-8 and found a collection of ancient artifacts. One box in particular called to her, and she opened it to find a lightsaber. Upon touching it, she was immediately confronted with a vision of events she did not understand. Rey first found herself in the halls of Cloud City, where Skywalker had once fought Darth Vader before learning Vader was his father. She heard Skywalker screaming in disbelief at the revelation, as well as the words of the late Jedi Master Yoda speaking about the energies of the Force. Rey then saw Skywalker himself kneeling before a burning temple alongside his astromech droid, R2-D2, before the vision shifted to one of death: Kylo Ren and the Knights of Ren killing many people. The vision then transported her to Jakku, where Rey saw herself as a young girl screaming for her family to return as they departed in a starship. Finally, she found herself in the middle of a snowy forest, where Ren ignited his lightsaber and stalked towards her. The vision came to an end, she fell to the floor, and she heard the voice of Jedi Master Obi-Wan Kenobi telling her that these were her first steps. Rey was left shaken by the vision. Kanata found her scrambling away from the collection room, and Rey asked her what happened. She told the young woman that the lightsaber once belonged to Luke and Anakin Skywalker, and that it was calling out to her. Rey, overwhelmed, told Kanata that she had to return to Jakku, but the old pirate helped Rey finally admit what she knew all along: whoever left her on Jakku was never coming back. There was, however, someone who still could: Luke. Kanata tried to guide Rey towards embracing the Force and letting the light guide her, as well as to take the lightsaber. Rey rejected it, however, and said she wanted no part in this cosmic destiny. She instead fled the castle, in tears, running into the heavy woods that stood just outside of it to be alone. BB-8 followed her and Rey told the droid to go back so Solo could help, but it was too late. Rey looked up and saw First Order transports and TIE fighters soaring through the sky. Rey and BB-8 returned to the castle, where they saw it under heavy bombardment from the First Order. She noticed stormtroopers approaching her position and fired on them, hitting two stormtroopers before running back into the forest. Rey told BB-88 to go on without her so she could fight them off, and she told the droid that she hoped to see it again. Rey continued through the woods until she heard the sound of a lightsaber coming to life. She was soon confronted by Kylo Ren, who used his lightsaber to deflect every shot that she fired at him. After several shots from the blaster, Ren used the Force to freeze Rey in place, threatening her with his lightsaber while demanding to know where the droid was. He probed her mind with the Force and realized that she had seen the map, and that he would not need the droid�he could instead just interrogate her to find out what she had seen. Ren used the Force to render Rey unconscious and carried her to his command shuttle, which he used to escape as Resistance X-wing fighters�which had arrived to find BB-8�fended off the TIE fighters. Rey was taken to Starkiller Base, a First Order stronghold and a superweapon, built into the icy planet, that was capable of destroying entire star systems�a power it unleashed when Rey was on Takodana, using it to destroy the Hosnian system and deliver a crippling blow to the New Republic�s government and starfleet. Rey woke up in a holding cell and found Ren inside of it. She asked him what happened to Solo and Finn, though Ren did not know�which he suggested was a sign of relief for her, as he had not heard if they perished. Rey treated the dark warrior with scorn, saying he was a creature in a mask, and he removed his mask to reveal that he was a young human man with no disfigurements. He asked about the droid once again and Rey responded only with its technical specifications. Because she refused to reply, Ren used the Force to access her mind and her memories. He saw that she was lonely but also afraid to leave Jakku, and that she saw an island on an ocean in her dreams. He also saw that she was fond of Solo and that she felt like he was the father she never had, though Ren said that he would only leave her disappointed�what Rey did not know was that Ren�s true name was Ben Solo, and that he was the son of Solo and General Organa. After more probing, Rey began to use the Force to push back and resist, keeping Ren from seeing anymore of her memories. She turned the attack around on him and saw into his mind, finding that he was afraid that he would never be as powerful as his grandfather, Darth Vader. Ren withdrew, rattled by the experience, and left the holding cell. Only one stormtrooper was left to guard Rey�s cell. Testing out her newfound Force abilities, Rey attempted to use a mind trick on the trooper in order to influence him to remove the restraints and leave the cell with the door open. The trooper was confused at first and, after her second attempt, said he would instead tighten the restraints. The third time she tried, however, Rey was successful. The trooper removed the restraints and began to leave the cell. He also dropped his weapon after Rey told him to, allowing her to leave the cell while armed with a blaster rifle. Rey made her way through the base, while Ren discovered that she was missing and ordered the First Order troops to be on high alert�the longer Rey went undiscovered while testing her abilities, the more powerful and more dangerous she would become to the First Order. Her intention, ultimately, was to commandeer a ship and escape from the Starkiller, so she made her way towards a hangar where she found TIE fighters that she could steal. She was approached by several stormtroopers before she could get to the fighters, so she climbed down a chasm in the hangar to hide. Careful not to fall to her death, Rey opened a service hatch, climbed inside, and closed it behind her so she could make her way back through the base. Deeper into the base, Rey found Solo, Chewbacca, and Finn�who did not flee to the Outer Rim after all�after they had arrived on the Starkiller in order to rescue her and to disable its shields so Resistance starfighters could destroy it. Rey embraced Finn when Chewbacca said the rescue was his idea, and she thanked him for coming back for her. With the shields already disabled as a result of Finn and Solo�s actions, the group left the base to return to the Millennium Falcon, but they saw that the Resistance fighters were being cut to shreds and had been unable to destroy the thermal oscillator, which stored the energy that the weapon drained from stars. The group decided to stay behind to help destroy the oscillator. Rey accessed a terminal that allowed her to open a door, giving Solo and Chewbacca the opportunity to enter the oscillator and plant charges. Rey and Finn made their way towards their companions and found themselves overlooking a bridge, where Solo�who, along with Chewbacca, had already planted charges�found and confronted his son. Though Solo tried to get Ren to turn back to the light, the dark warrior stabbed his father through the torso, sending the famed smuggler tumbling off the bridge to his death in the deep chasm below. Chewbacca, enraged over the loss of his friend, opened fire on Ren and set off the charges, damaging the oscillator and giving the Resistance the opening it needed to destroy the base. ey and Finn ran through the snowy forests towards the Millennium Falcon, but they were confronted by Ren who told them that they had unfinished business. Rey attempted to fire at Ren with her blaster, but the dark warrior used the Force to toss her against a tree, temporarily knocking her out. Finn, who was given Skywalker�s lightsaber by Maz Kanata on Takodana, engaged Ren in a lightsaber duel, but he was bested by the Knight of Ren and left critically injured. Ren, who sought the lightsaber for himself, attempted to call the saber into his hands through the Force, but Rey called it into hers and ignited it. She engaged Ren in combat and spent part of the duel in retreat, defending herself against Ren�s advances. The two locked sabers and Ren told her he could train her in the ways of the Force. Rey, knowing what Kanata told her, drew upon the powers of the Force and moved onto the offensive, delivering several blows against Ren until she finally disarmed him and slashed him across the face. A deep chasm formed between them, born out of the imminent destruction of the planet after the Resistance destroyed the oscillator, so Rey left Ren behind and returned to the injured Finn. Chewbacca soon arrived aboard the Falcon and carried Finn aboard, as Rey followed behind. The ship took off as the ground crumbled beneath it, and the Falcon and the Resistance fighters retreated from Starkiller Base as the planet imploded and became a star from all of the thermal energy the weapon had collected. The Millennium Falcon returned to the Resistance base on the planet D'Qar, where Finn was treated for his wounds. The Resistance forces celebrated their victory over the First Order, though Rey was left with a feeling of sadness. She was greeted at the base by General Organa, and the two embraced in a long hug. The events that had unfolded awakened R2-D2, who had been in low power mode ever since Skywalker disappeared, and the droid combined the information contained within his databanks with the map that BB-8 carried to show a completed map to where Skywalker had gone. The Resistance broke out into celebration over the news that the last Jedi could be found, and Rey finally met Dameron after hearing about him from BB-8. Rey kept Skywalker's lightsaber with her and prepared to depart from D'Qar for Skywalker's world with Chewbacca and Artoo. She said goodbye to the unconscious Finn, kissing him on the forehead and stating that "they would see each other again some day". Outside of the Falcon, General Organa told her that she was proud of what Rey was about to do. Rey felt her fear, however, as Rey knew that Organa blamed herself for sending her son away to be with her brother only for Ben Solo to turn to the dark side. Organa was confident, however, that Rey would not share the same fate as her son. Rey boarded the Millennium Falcon, took the pilot's seat, and set a course for Ahch-To, the world where Skywalker made his exile. After landing on one of the planet's small islands, Rey ventured throughout the island's ancient ruins and found the old Jedi Master in seclusion. Skywalker, clearly haunted by the past, said nothing as Rey handed him his father's lightsaber, a symbol of the only hope the galaxy had left�the return of the Jedi. Rey was a human female who stood at 1.7 meters in height. She had brown hair, hazel eyes, and light skin that adapted to the extreme ultraviolet radiation emanated by the sun that shone down on the desert world of Jakku. The harsh realities of such a world could have easily made a person cynical or guarded against sympathy and weaknesses, but not Rey. Despite eking out a meager existence in the scorching heat of the Western Reaches planet, Rey possessed a heart full of generosity and a willingness to help other people in need. It was this willingness that led her to not only help BB-8 be free of Teedo's interference and Plutt's attempts to acquire the droid, but also led her to help BB-8 in its mission to return the star map it carried to the Resistance. Though she never wanted to leave Jakku for fear that she would not be there when her family returned for her, she believed in the importance of the Resistance and its fight against the First Order enough that it gave her strength to continue on BB-8's mission to find Luke Skywalker and defeat the First Order. For years, Rey's imagination took her mind to other worlds, including those with lush green forests and beauty that she could never even dream of. The adventure she found while helping BB-8 and Finn brought her to one such world in the form of Takodana, where she began to realize that her destiny was not in the junkfields of a remote desert planet. Her encounter with Maz Kanata profoundly impacted how she saw herself and what she was capable of, and Rey began to see that she was part of a larger galactic fight�and that the power of the Force was with her. Her recognition of these abilities and her destiny coincided with turbulence in the Cosmic Force, which for years had remained dormant, and ultimately led her to find Luke Skywalker. Rey honed her skills as a scavenger in the junkfields of Jakku, a planet on which every day was a struggle to survive against harsh sunlight, searing hot deserts, and cutthroat scavengers and thieves who would steal from anyone. This bleak reality, in which she nonetheless remained ever-hopeful, saw Rey develop a tenacity and instinct for survival. Her skills as a scavenger saw her earn the respect of junk traders like Plutt, who ensured that his thugs did not steal from her�unless her skills got in the way of his business. The need to survive against such beings, and the ability to traverse downed star cruisers and other war technology, necessitated that she remain in peak physical condition. She developed skills as a warrior, with the ability to expertly wield a quarterstaff against those who would threaten her. Her interactions with offworlders also allowed her to learn languages from other worlds, such as the Wookiee language of Shyriiwook and the binary language of droids. She also had a certain talent for drawing, which she put to good use in her journal. In her time on Jakku, Rey learned the ins-and-outs of being a mechanic, and she was gifted with a seemingly innate understanding of how machinery worked. This left her comfortable around vehicles and weapons, including the AT-AT she called home; she kept the weatherproofing of the downed transport intact to protect against the climate, and she set traps around it so scavengers could not steal from her. She built her own speeder and became a skilled pilot, despite never wanting to leave Jakku. These skills proved ever-useful when she piloted the Millennium Falcon away from Jakku, and she displayed an understanding of its systems and functions with a familiarity that rivaled even that of Han Solo. Chewbacca also recognized these abilities, giving her the pilot's seat in the Millennium Falcon after Solo died and the two set off to find Skywalker. All of these skills and more were put to the test when she left Jakku with BB-8 and Finn. Rey was forced to pilot the Millennium Falcon through the Starship Graveyard, in which she formed a working partnership with Finn when the former stormtrooper manned the gun turrets of the old Corellian vessel, and further helped Solo repair the Falcon when it was damaged. Her ability to understand languages not commonly found on Jakku came in handy when helping BB-8 with its mission, as well as through interactions with Chewbacca. The adventure that followed her leaving Jakku led Rey to discover that she was gifted with the powers of the Force. Though she initially rejected these powers and the destiny that came with them, Rey's encounter with Skywalker's lightsaber began awakening the power of the Force inside of her. She resisted Kylo's attempt to probe her mind for the map to Skywalker, and even turned his attack back on him to discover his own fears of inadequacy in the shadow of Darth Vader. She employed a mind trick against a stormtrooper in order to escape from captivity, and her skills grew throughout her escape from the Starkiller. This culminated in her lightsaber duel with the injured Kylo, as she was able to repel his attacks and best him in their fierce encounter, destroying his lightsaber. She embraced these events and the abilities she was just beginning to learn when she sought out the exiled Skywalker, rekindling a spark of hope for a galaxy on the road to war. Rey made her home in the downed remains of an All Terrain Armored Transport called Hellhound Two, a leftover from the Battle of Jakku. After claiming it as her own, Rey made a number of modifications to the AT-AT. She disabled the fuel tank, as it was too dangerous to keep online, and welded the main hatch shut. As an entrance and exit, she used a side hatch that Imperial stormtroopers only would have used in emergencies. In order to operate the solar panels that Rey used to power her home, she salvaged two self-charging fuel cells from the wreckage of speeder bikes in the vehicle bay. Many of the materials also proved useful for salvage; E-11 blaster rifles, DLT-20A laser rifles, terrain scanners, atmosphere intakes, and more were all materials she was able to trade to Unkar Plutt. While in the walker, Rey generally stayed inside the lower troop deck, though there was a speeder bike garage and upper troop deck in the walker. Despite Hellhound Two laying on its side, Rey came to think of it as right side up after getting so used to it. Inside she had a workbench for working on salvage material, her computer terminal, and a hammock that she made herself when she was a girl. Being inside the walker gave her a degree of protection as well. Not only did Rey maintain the vehicle's weatherproofing, thereby keeping the daytime heat and frigid nights out of the craft, but she also set up traps around the walker in order to keep scavengers out of her home. lthough the AT-AT was her home, Rey's speeder was more important for her survival. Rey took great pride and joy from her speeder, a custom-built repulsorlift vehicle. It stood at 3.73 meters in height and carried no weapons, but its hauling capability, and the net used as a cargo bag on the side of the craft, allowed her to ferry items she salvaged from the Starship Graveyard to her AT-AT and Niima Outpost. Despite its ability to haul cargo, its space was limited; the craft valued speed over cargo capacity, so Rey often had to make return trips to carry her salvage into Niima Outpost. The craft was top heavy, making it difficult for other pilots to control it, but Rey was a skilled enough pilot to manage it. Its top heavy nature made her more confident that other scavengers would not steal it, as did her safety precautions: a fingerprint scanner that meant only she could power the speeder's engines, and a loose wire that she used to electrify the craft when she was not using it in the event that someone tried to hotwire the speeder. The speeder itself was built from supplies that Rey scavenged from the deserts. It was powered by twin turbojet engines she claimed from a downed cargo-hauler, which she mounted stacked rather than placing them side-by-side. She bolted them to powered amplifiers that she scavenged from an Imperial vessel. It was further customized with racing-swoop afterburners, a customized combustion chamber, and repulsorlifts she scavenged from crashed X-wing starfighters, amongst many other modifications she made. When carrying a limited load, the speeder was even powerful enough to accelerate to the point that it could fly like an airspeeder. Rey enjoyed using the craft to hone her piloting abilities, sometimes taking it out for flights and performing maneuvers like barrel rolls. The speeder's capabilities, as well as its necessity for survival, gave Rey a sense of independence. Although no one could be truly free and independent on Jakku, due to scavengers being dependent on Unkar Plutt for food, the speeder at least meant that Rey could go wherever she wanted whenever she wanted. Being a scavenger required many types of tools and gear necessary to survive. Rey's scavenger clothing was ideal for protecting herself from the heat and carrying the tools she needed to do her job. She wore tight-bindings to keep out the sun and sand as well as salvaged gauze wrappings. She even wore her hair in a simple style designed specifically for survival in the desert. Her boots were made for travelers and were created out of Govath-wool. Part of her gear included goggles from stormtrooper helmet lenses that Rey salvaged from a ship. Water was an essential part of a scavenger's life, and many scavengers forgot that the heat was their worst enemy. Rey always carried more water with her than she needed to and carried replacement parts for all of the critical components on her speeder. To be as successful a scavenger as Rey meant acquiring the best tools she could, learning how to use them, and always maintaining them. She carried her tools in a mesh-windowed salvage satchel that contained her salvages and survival equipment. Tools she kept in the satchel included a set of Pilex bit drivers with Wessex and Blissex heads; modulators that included Mon Calamari hex-clamps and cruciform Verpine ratchets; all eight standard configurations of hydrospanners, including spare power cells; magnetizers and demagnetizers; a carbon chisel for removing scorching on her salvages; a chisel head hammer; harris wrenches, including two that were powered and one that came in the standard model; bonding tape; a power tester; microlenses for inspecting parts to see if there were breaks or cracks too small for the eye to see; a sensor jammer to ensure that memory units and computers were properly decoupled, lest their data be purged after being unhooked with authorization; and a datapad that contained schematics of ships from the Starship Graveyard. Rey also carried a salvage kit, made from happabore leather, with brushes for cleaning the parts she acquired. One of the most important items Rey carried was her quarterstaff, which she salvaged herself and wrapped with scraps of uniform. She kept the staff strapped to her person with a strap made from wool and bloggin-leather. The staff was an important tool for traversing downed ships. Because it was so dark inside the unpowered vessels, it was not unheard of to be injured by jagged metal or falling through brittle hull plating. Rey used her staff to check that every step she took was stable, particularly in a ship she had never been in before. She also used the quarterstaff in combat if necessary, which required her to keep a firm back arm grip in order to power any sudden swings. While using it she remained standing in a lower defensive position, and she was practiced with skilled and agile footwork. Rey also had a small knife created out of a droid arm. 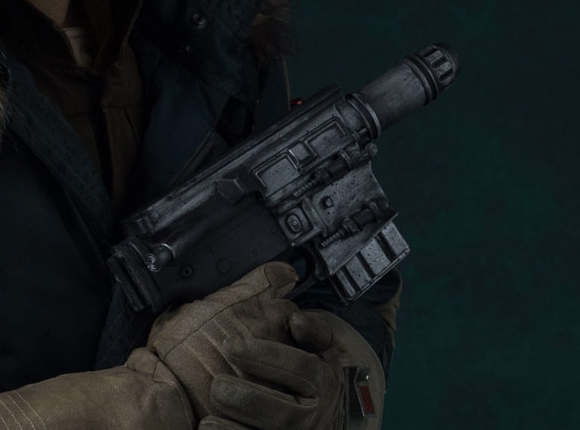 After Rey left Jakku and arrived on Takodana, she was given an NN-14 blaster pistol from Han Solo. The pistol was small, befitting her own size. It had an armored body shell, flash-suppressing and stabilizing muzzle, and a compact grip that was suited for her small hands. 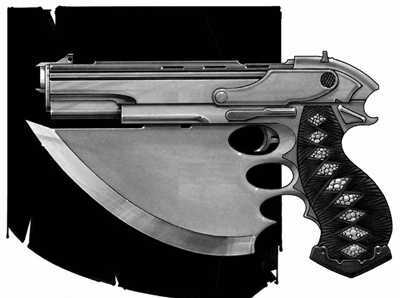 Though it was small, its enlarged power core and reinforced frame meant that it was a sturdy weapon that delivered a powerful blast onto any enemies. In Maz Kanata's castle, Rey also learned that Skywalker's lightsaber was destined for her, as the Force beckoned her to claim it. The lightsaber was built by Anakin Skywalker during the Clone Wars and, after it was lost to Luke Skywalker during a duel with his father, it was salvaged from the depths of Cloud City. Rey finally claimed the lightsaber during her duel with Kylo Ren, and she carried it with her to Ahch-To so she could present it to Luke Skywalker himself. I'd guess Rey's Lightsaber skill would be nonexistent at this point, with her battle against Kylo being explained entirely by Force power use and a quick burn of Force Points (saved up throughout her life so far because she never knew she could use them before) to boost her powers and other skills.